The RAM-B-345U brake/clutch reservoir cover base fits cleanly over your existing reservoir cover with the 1" ball centered. 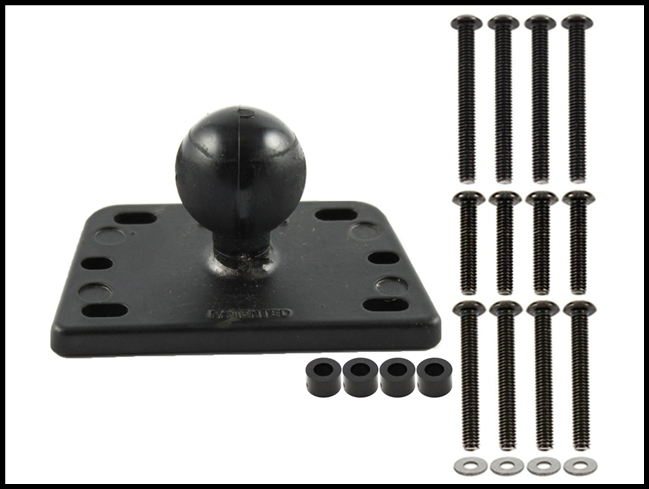 Made of die cast aluminum with an over molded rubber ball, both form and function are unsurpassed. Installation is simple and all necessary hardware is included.